What can the victory of the Spanish dockworkers teach us? That class struggle is the way to twist the arm of the government, the European Union (EU) and the way to make the capitalists pay for the crisis. Editor’s note – March 16 saw the Spanish parliament vote against the Royal Decree Law that sought to scrap the country’s port labor system. The decree put forward by the conservative Partido Popular (PP – People’s Party) government was voted down – 175 votes against, 142 in favor and 33 abstentions. Crucially, 32 of these abstentions came from the center-right Ciudadanos (Citizens) party that helps to prop up the minority Partido Popular government. This vote is the first time in nearly four decades that a royal decree has been rejected by the Spanish parliament. The simple threat of a strike was enough to ensure the overturning of the anti-worker Royal Decree Law drawn up by conservative leader Mariano Rajoy. 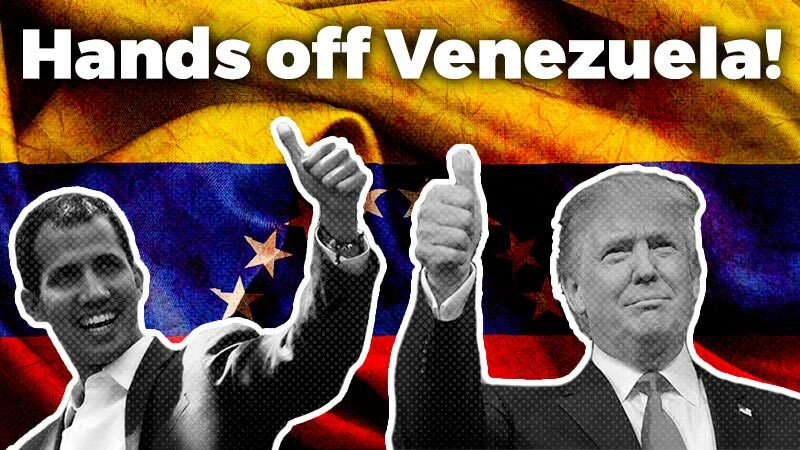 The “no” vote was not just a blow for the current Partido Popular government but also for the EU Court of Justice and its threat of sanctions. 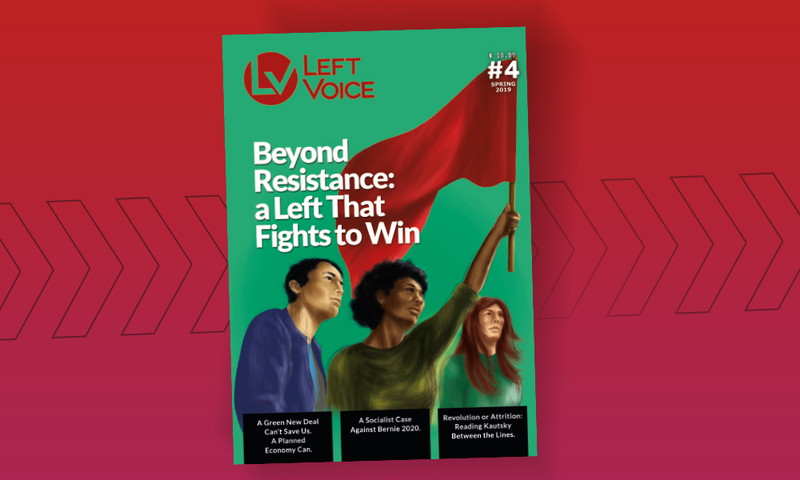 One of the most concentrated, unionized and coordinated sectors of the labor movement has flexed its “muscle”, which this time round was enough to stop the parties of the post-Franco regime from voting for the “national interest” as they have done in the past. The threat of a strike was not only to have economical consequences – an estimated potential loss of 50 million Euros a day – but also political consequences. The flexing of this political “muscle” raised the specter of a big labor dispute taking center stage in Spain, one that could potentially recreate the solidarity and militancy of the Spanish coal miners’ dispute of 2012 and direct this at all those who voted “yes”. This is a scenario that the social-democratic Partido Socialista Obrero Español (PSOE – Spanish Socialist Workers’ Party) fears as it enters its worst crisis in recent history. 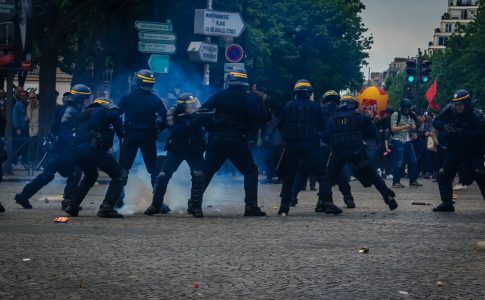 If anything, what this demonstrates is that – despite all the skepticism about social mobilization and all the illusions in “storming heaven” through institutional means – determined class struggle is the way to defeat a government and the European institutions which shield its anti-labor policies. But not only that, it is also the way to open up the opportunity to bring the “democracy of the IBEX35” (the Spanish stock exchange) to an end and impose a program that makes the capitalists pay for the crisis. As the media have pointed out, parliament’s rejection of the Royal Decree Law is historic. It has only happened twice since 1979, and one of these was by accident. Not only that, but among the “no” voters were key social-democratic PSOE deputies. These deputies belong to the same “socialist” party that, under pressure from the European Union (EU) and the financial markets, amended Article 135 of the Spanish Constitution in 2011 to ensure budget stability; that introduced a series of austerity measures in 2010 at the behest of the ‘Troika’ of the European Commission, European Central Bank and International Monetary Fund; that implemented the industrial reconversion process in the 1980s that closed down and sold off much of the country’s state-owned enterprises at the EU’s request … if anyone knows anything about offloading economic crisis onto the strategic sectors of the labor movement, it is the “socialists” of the PSOE. Nevertheless, the dockworkers have taken advantage of the current crisis affecting this political pillar of the regime and shown that they could twist its arm and force it to vote “no”. There is no doubt that the attacks on the dockworkers are far from over. Now the “cavalry” will come from the EU capital of Brussels; the media campaign against these so-called “privileged workers” will start again … and the last word has not been spoken. Nevertheless, there are some interesting lessons that can be drawn from this first victory that go well beyond just the dockworkers. Since 2014 we have seen the imposition of a new “common sense”, one that has been fueled by the rise of the neo-reformism of political parties such as Podemos (We Can), one that suggests that social mobilization is incapable of finishing off a rotten regime and the policies it uses to unload the crisis onto the majority of the population. This new “common sense” suggests that the key is to take the movement off the streets and into the electoral arena. Through these electoral projects, these forces would fight for social, political and economic reform with the idea of taking hold of government institutions and using them to make social change. After nearly three years, the growth of various parliamentary groups for “change”, beginning with the 71 Congress deputies of Unidos Podemos (United We Can) and its allies*, has seen these forces take hold of a number of important municipalities and legislative bodies. However, their political practice is very different from what has been promised. In the municipalities of “change”, government debt is paid religiously, demands such as remunicipalización (taking previously privatized entities back into public hands) are abandoned and either their minority status or the existing legal framework is used to justify their refusal to take effective measures to end unemployment, evictions or energy poverty. In the Congress and the regional parliaments, they allow themselves to make very left-wing speeches and come out in support of existing mobilizations such as those of the dockworkers, but they do not propose one single measure of struggle or organization that would help to implement concrete measures against major social problems. 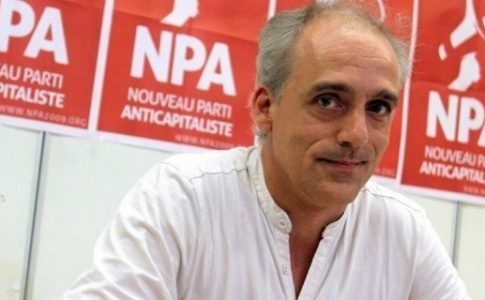 The dockworkers have shown us that just flexing their “muscle”, without even having to put their fighting ability into action has, to date, managed to overcome both the problem of the parliamentary majority – 268 of the 350 deputies are from neoliberal formations that have turned obedience to the EU into a dogma – and the threats from Brussels. 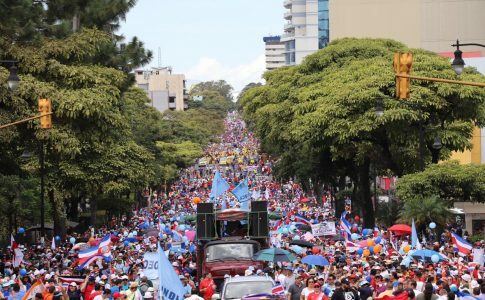 It has not been the threat of strike action alone that has achieved this, for the division among the employers and especially the conditions of open crisis in the regime and its political agents have undoubtedly played a role. But this critical situation is not an exceptional one, for it has in fact been the norm since 2011. What dockworkers have demonstrated is that there is another way to occupy the electoral space. You have to wonder about what we could achieve if the reformist left, which speaks of “change” and even of “returning to the streets”, started demanding that trade union leaders end their criminal policies of compromise and social peace? 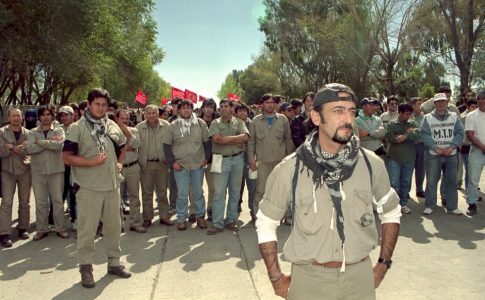 What could we impose on the parties of the regime if the reformist left took advantage of their positions and called for the organization and mobilization of workers, young people and women? Examples arise by the dozen. The municipalities of “change” say that they cannot take privatized firms back into public hands because they are in a minority, or that if they generate quality public employment, then Partido Popular Finance Minister Cristóbal Montoro will audit them. Both things are as true as the fact that the EU Court of Justice will sanction the Spanish government if Rajoy cannot get his ‘reforms’ to the port labor system approved. Then what should be done? Resign yourself as local mayors for change such as Manuela Carmena (Madrid), Ada Colau (Barcelona), Pedro Santiesteve (Zaragoza) and José María “Kichi” González (Cádiz) have done? Or, on the contrary, prepare a great movement that fights to impose its demands on the politicians that serve big business and their courts, just like the dockworkers have done? The same can be said of the parliamentary work of Podemos. As Pablo Iglesias himself says, in the Courts you can draw up little more than proposals that do not become law. But why is it that in over one year as a deputy, he has not called for a mobilization, or an assembly, or demanded that the union bureaucracy moves a finger … for an increase in the official minimum wage, for the repeal of various labor ‘reforms’ or the nationalization of the criminal energy sector? 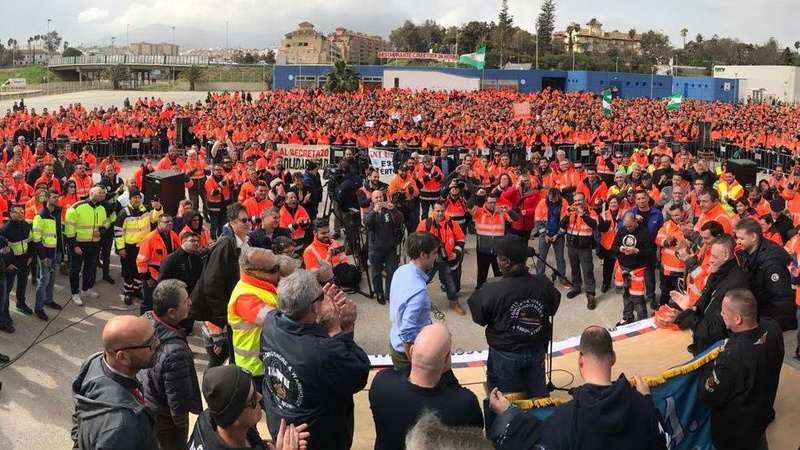 The dockworkers have shown us what they think of the new “common sense”, fueled as it is by the reformism of “change” that tells us that we cannot aspire – “because it is one thing to form government and another to have power”, “because I am only going to promise what I can get, in agreement with the PSOE and existing legality”. This “common sense” can be quickly surpassed once the road of social mobilization is returned to, with workers on the front foot and consistently defending the only realistic program to solve the great social problems: one that directly affects the profits and interests of the capitalists. The most important conclusion that those moved by the victory of the dockworkers can draw is that the whole working class “has to do it like them. Our class has to learn how to flex its “muscle” and set it in motion a massive movement of workers together with young people, women and immigrants… in order to end unemployment by imposing the distribution of working hours with no reduction in wages, at the expense of the record profits being made by large corporations; by demanding the nationalization of banking and large strategic companies such as electricity providers under workers’ control; by refusing to pay all government debt; and by taxing large fortunes in order to guarantee good education, universal health and public services, among other urgent and fundamental measures. The dockers’ victory is a victory for the whole working class against the precariousness of work. It is necessary to use this victory as a launching pad. They are going to keep attacking the dockworkers in order to try to break them, so for that reason we need to close ranks and surround them with our solidarity. At the same time, we must demand that if the trade union bureaucracy and the ‘neo-reformists’ want their declarations in favor of the unemployed, the precariously employed and other workers to have some credibility, they must call assemblies in every workplace for the organizing of a real plan of struggle that imposes a working-class solution to the crisis. * Unidos Podemos (United We Can) is the left-wing coalition that contested the 2016 Spanish general election. It consists of Podemos (We Can); Izquierda Unida (United Left) which has the Communist Party of Spain at its core; the Green Party “Equo” and other smaller, mainly regional parties. In various regions, it ran under different names, such as En Comú Podem (In Common We Can) in Catalonia and En Marea (En Masse) in Galicia.